It carries a third of all road traffic. It is fundamental to the social and economic welfare of this country. And it has a length twice that of the railways. It is the network of motorways and major A roads in England, currently the responsibility of the Highways Agency. Yet, unlike other utilities such as water, electricity and even the railways, there is no independent regulator to determine funding requirements, approve investment plans and monitor service standards for this strategic network. Nor is there a consumer watchdog to protect and promote the interests of road users, despite the fact that motorists contribute some £46 billion to the Exchequer each year in road tax, fuel duty, and other vehicle related charges. Which is why ‘The Governance and Administration of National and Local Roads in Great Britain‘, published today (10th June) by the RAC Foundation, argues that the need for such bodies be urgently considered by Government. The paper shows how the approach taken to water, energy and other utilities might be applied to the strategic road network in England (and also those in Scotland and Wales) to improve performance and investment. Unlike other critical utilities, the performance of the strategic road network is not independently monitored. There is no regulator or consumer body. Nor is there a clear relationship between demand for, and the provision of, new roads. And unlike water or electricity, the network provider – the Highways Agency – has no duty to ensure an adequate supply of road space. 1. 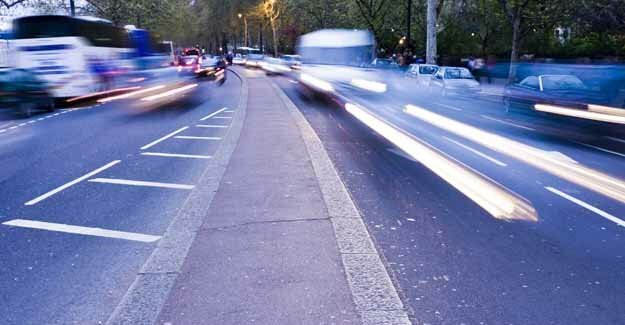 Establishing a roads regulator – something equivalent to the water industry’s Ofwat – to approve investment programmes, determine future funding requirements and to monitor performance standards. 2. Establishing a consumer council to represent the interests of road users and ensure their views are reflected in future plans for the network. 3. Formalising the Government’s role in setting a national road strategy, as is currently the case for rail through the High Level Output Specification process. 4. Formalising the duties of the Highways Agency in relation to maintaining, renewing and enhancing the strategic road network, and meeting future capacity needs. 5. Giving the Highways Agency corporate status and a more arm’s length relationship with government. 6. Providing the Highways Agency with a secure funding stream that would save it from its current hand to mouth existence. There is also a strong argument for giving the existing Highways Agency corporate status so it is not reliant on unreliable state handouts to meet its obligations. * ‘The Governance and Administration of National and Local Roads in Great Britain’ is a paper written by John Smith on behalf of the RAC Foundation. The report and exectuive summary can be viewed by clicking here. * John Smith is an economist who was formerly Director of Regulation at Anglian Water and later, at Railtrack. He is currently a member of the Competition Commission. * The report concentrates on the relationship between the Highways Agency (which runs the strategic road network in England) and Westminster, but some of the recommendations could also apply to the administration of the strategic networks in Scotland (Transport Scotland) and Wales (Transport Wales) where transport is a devolved matter. * According to the Highways Agency annual report for 2007/8 the current value of the network under its management is £85 billion. * As of last week, the RAC Foundation understands the 2010/11 budget for the Highways Agency had not been set. * In 2007/8 British motorists contributed £24.9 billion in fuel tax. £5.2 billion in VED. £6.2 billion in VAT on vehicles. £7 billion in VAT on fuel. And £2.6 billion in company car tax. Source: Road Users’ Alliance annual report 2008/9.